Welcome to Cora SeQuence Release Notes. As they become available, additions and updates to these release notes can be found here. The latest releases appear at the top of the list. What's in the Release Notes? Cora SeQuence is an Intelligent Business Process Management Suite (iBPMS) that facilitates rapid build and change of high availability, mobile-enabled workflow applications. Cora SeQuence is built on HotChange technology, an architecture that enables organizations to modify, integrate, and distribute business processes with zero downtime in the production environment. Business users and developers can seamlessly design and execute workflows on a single canvas using Dual View. Cora SeQuence is a low-code platform that also supports advanced development capabilities. Cora SeQuence V8.8 introduces stronger integration capabilities and event-driven methodology by improving product integration with Azure Service Bus to send and receive messages. This release also expands cloud capabilities and adds support to Azure SQL Database Managed Instance. Among user experience improvements are the capability to upload multiple files to forms and better system performance overall. Performance improvements include a more efficient in-memory workflow engine processing, and shorter loading time of Hot Operations grids. Enhanced integration capabilities and event-driven methodology: You can now set up a Service Bus Consumer activity to send messages to an Azure Service Bus queue or topic. The Service Bus Listener activity can now be used to resume workflows. These activities can now be used to integrate to external systems or create a better user experience by building an asynchronous Cora SeQuence process. For more details on the Service Bus Consumer activity, see this article. Improved user experience: You can add a snippet that enables end-users to attach multiple files to a form. 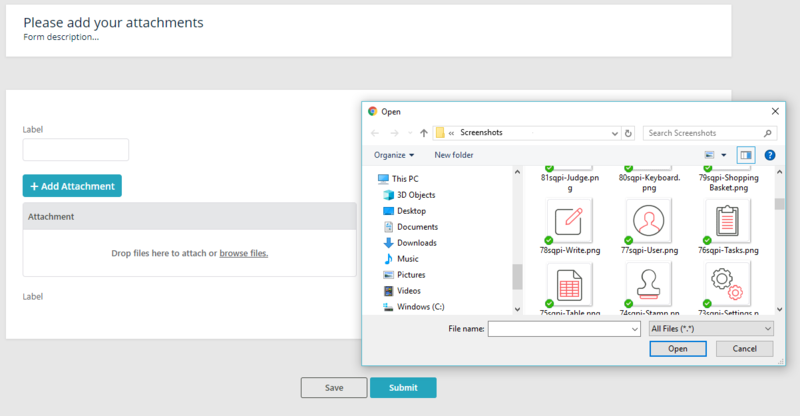 The new feature enables upload selection in one command through drag and drop or file selection. Improved execution: You can configure retry and timeout settings for Stored Procedure activities. Role-based permission caching: To improve performance, the system caches all roles and rules definitions. HotOperations: Team Member and Team Leader grids load faster as a result of changes made to database schema. Service Bus Listener: The Service Bus Listener activity can now be used to resume workflows as well as to start them. SQL Database: Added support to Azure SQL Database Managed Instance. Windows server: Added support to Windows Server 2019. HotOperations: The Process Wall now displays logs for dynamic tasks, such as Fetch and Return. These events can now be used for report statistics. Sharepoint: Cora SeQuence V8.8 does not support Flowtime hosted on Sharepoint. If your solution uses Sharepoint to host Flowtime, when upgrading, you need to set up a new server. Microsoft SQL Server: If your system uses an earlier version than Microsoft SQL Server 2014 Enterprise Edition or Microsoft SQL Server 2016 SP1/Enterprise Edition, you will need to install a later version. For more details, see the Platform Support Matrix. Workflow persistence configuration: If your solution uses tblInstanceActivities table through the database while workflow execution takes place, sampled data may not be accurate during execution. This event can break the implementation and data credibility. In such a case, you can override the workflow persistence configuration. Email Listener activity The Email Listener activity did not process emails that included embedded attachments whose URLs exceeded 255 characters. This issue occurred because the AttachmentContentLocation property was limited to 255 characters. Upgrading from any version After upgrading the system, the<closedInstancesSeparatorsettings in the Background Runtime Service (BRS) config file was overwritten, and returned to default values. Hot Operations Team Member's Open button did not fetch automatically. Global variables: After you add a global variable to a workflow, changes made to the global variable definitions are not reflected in the workflow. To apply the changes, you need to select the variable again in the Workflow Variables Definition Wizard. These instructions are for a new Cora SeQuence installation. If you are upgrading to Cora SeQuence V8.8 from a previous version, see the Upgrade instructions. Follow the installation steps described in the 8.x Installation Guide. If you are upgrading from a version earlier than V8.3.0, you need to upgrade to V8.3.0 first. For more information, see the Cora SeQuence 8.3 Release Notes. You cannot upgrade servers with Flowtime hosted on Sharepoint to Cora SeQuence V8.8. You need to set up a new server. Servers that host the Administration site or Cora SeQuence services can be upgraded to Cora SeQuence V8.8. Back up configuration files and your database. If you are using scripts to update your database, use the scripts in the Upgrade folder. Run theSequence 8.8.0 Setup.exefile as Administrator. To start the Active Directory wizard, go to Administration > Active Directory Settings, and complete the wizard.